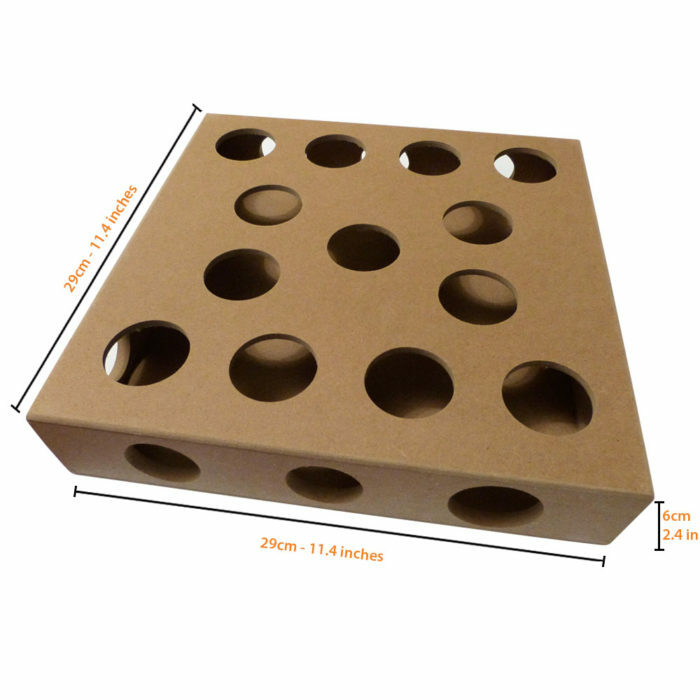 If your cat is anything like ours they’ll love this toy. 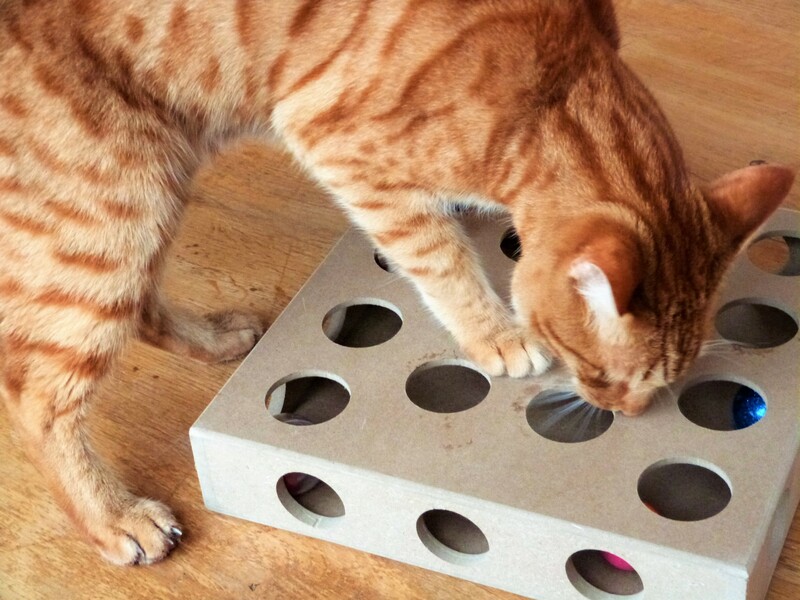 What curious cat doesn’t like to play with things hidden almost out of reach? 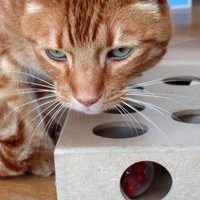 Great for physical and mental stimulation, Smitten Kitten’s new Cat Toys Puzzle Box will keep your cat entertained for far longer than other toys thanks to its novel design. 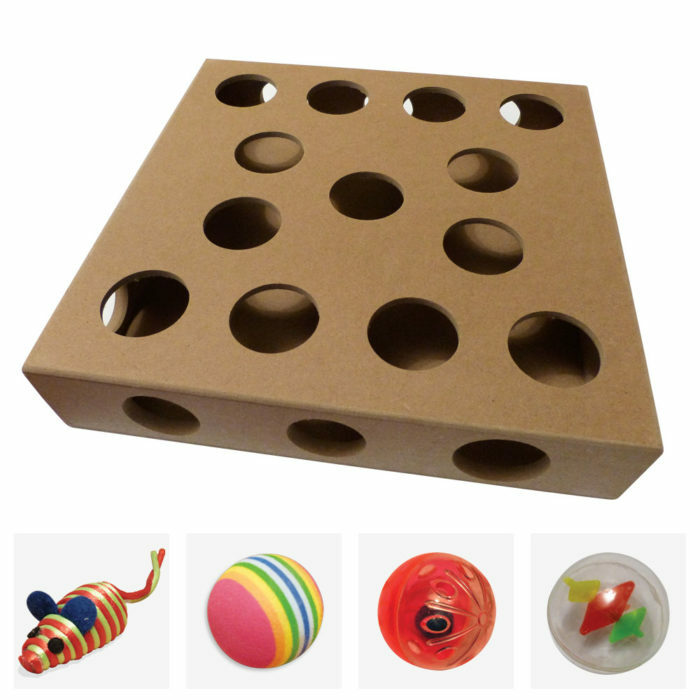 It’s a big box with many holes for your cat to paw through, but only one of the side holes is big enough to let the ball out. 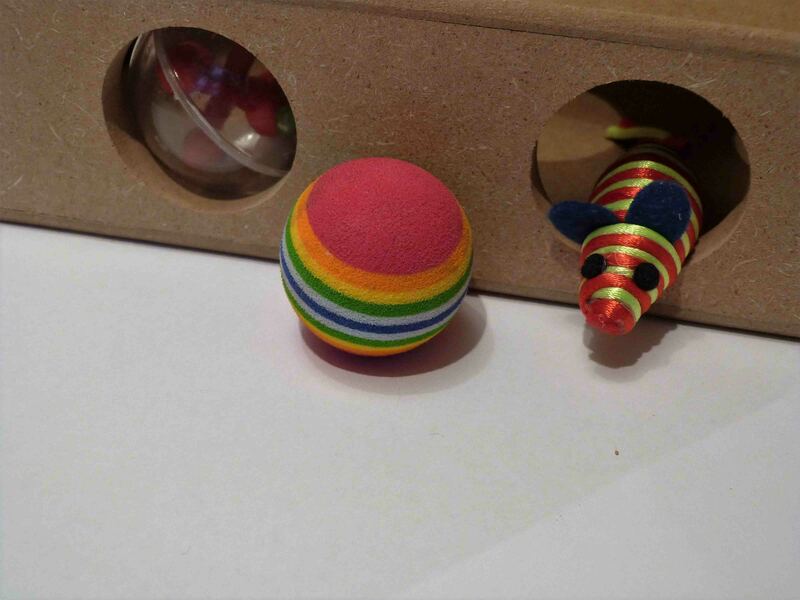 Put the large ball in, give it a rattle and just watch your cat try to get it out! 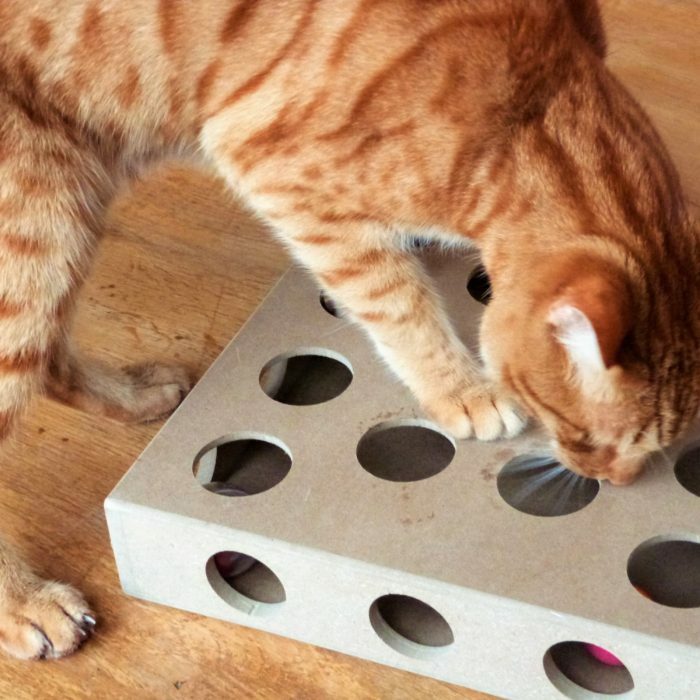 We believe our Cat Toys Puzzle Box is the best interactive indoor toy because while it’s hard for your cat to get the ball out, it is possible – in some products it’s impossible for your cat to take out the ball, this means they can’t get the satisfaction of a successful hunt! 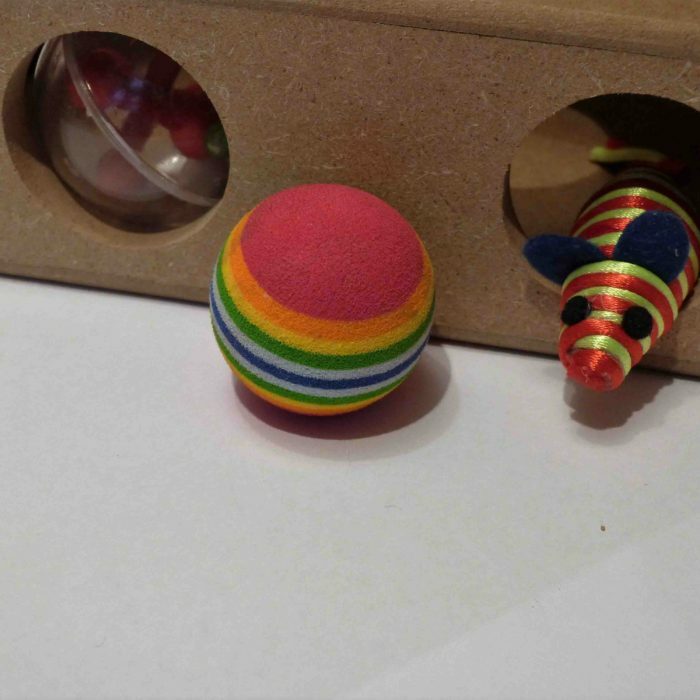 Four Cat toys are included with your purchase – one small ball as an easy starter, two large ones for extended play, and a mouse (obviously). 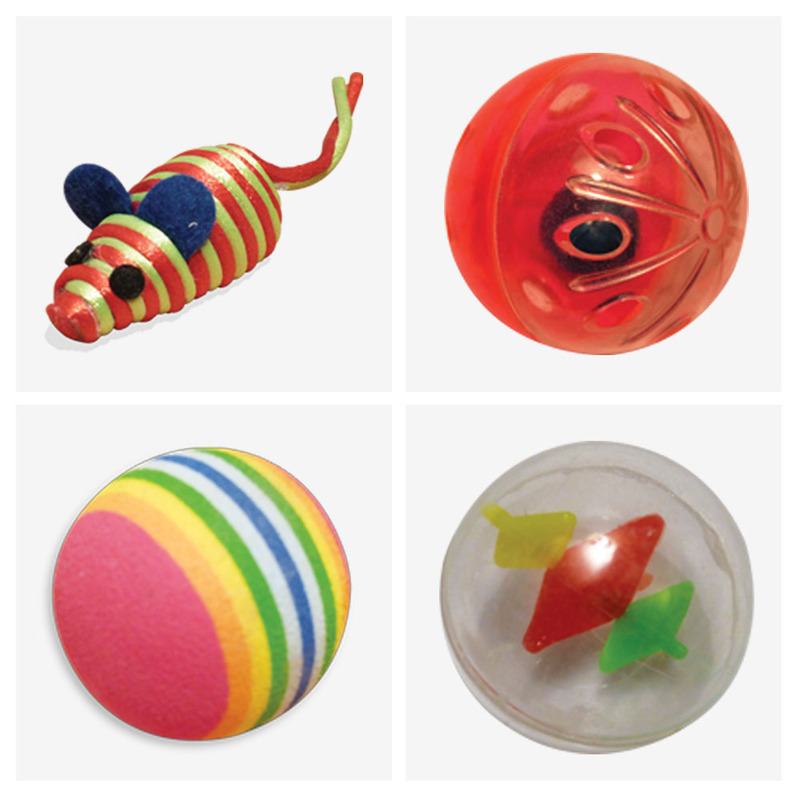 Be warned though expect your cat to love these toys so much they’ll wear them out! 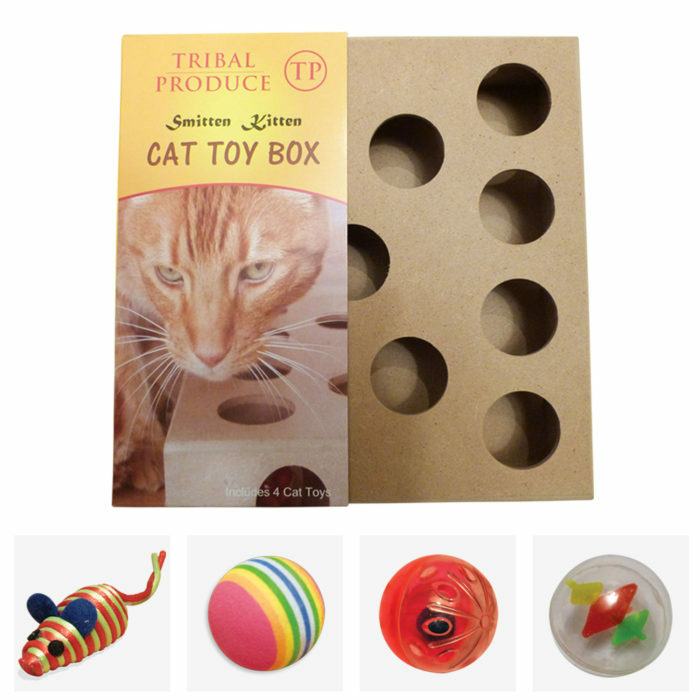 Of course you can add any small toy to the box – every cat will have their own favourite. You can even add food treats for their ultimate satisfaction in completing the hunt. 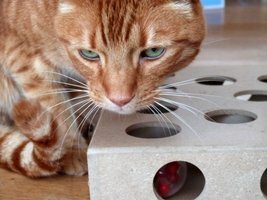 Visit Channel 5’s TV Catch up player to see Bungalow Cat Ned working out our box. Episode 2 of Secret Life of Kittens – we’re 31 mins in. Or Visit YouTube – We’re 35:30 minutes in!